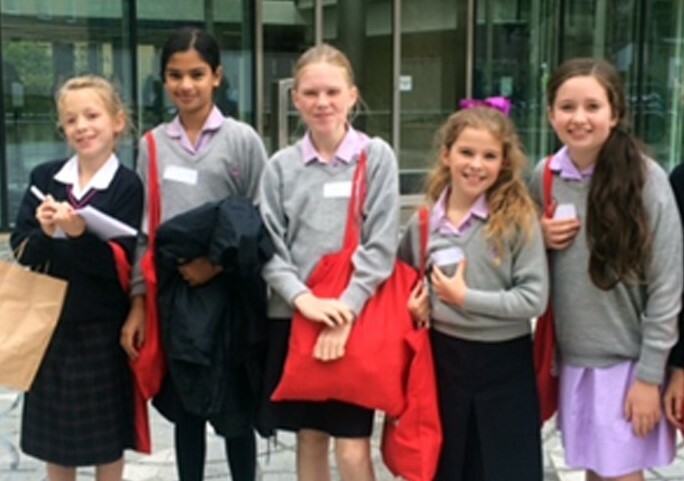 Six Year 6 girls were lucky enough to attend the very first GDST Maths Conference at the University of Oxford. Held in the prestigious Andrew Wiles building, it was a fun filled day of problem solving and collaborative Maths. Opening the conference was Dame Frances Kirwen, a Professor of Mathematics at the University of Oxford and Alumna of Oxford High School. The girls worked with their peers across the Trust to look at number theory – particularly happy numbers – demonstrating their ability to work together, problem solve and be resilient when faced with challenging puzzles. In addition, they were able to explore the Andrew Wiles building itself, taking in all the Mathematical architecture incorporated within it, such as: the Penrose Paving and the North and South Crystals – a Mathematician’s dream! “To be a good Mathematician you not only need to have the knowledge of Maths, but you also need to experience it with others!